The performance artist Claude Cahun contended that lesbianism “occurs with special frequency in women of high intelligence.” Absolutely, when it came to what she called an “aristocracy of taste, few could equal Romaine Brooks. This contention is amply borne out by the Smithsonian American Art Museum’s current retrospective of Romaine Brooks’s paintings and drawings on view until October 2, 2016. 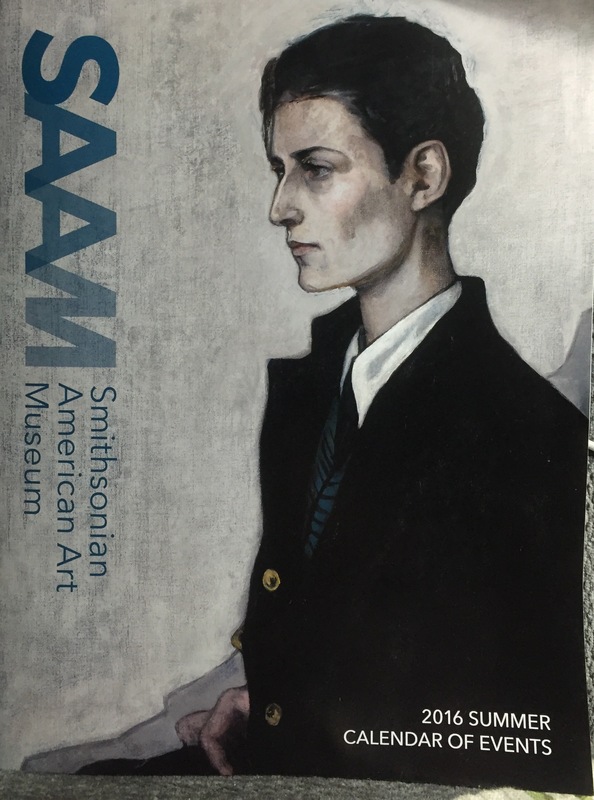 Romaine Brooks made the cover of the museum magazine! Peter, a young English girl in actuality is the Jewish English lesbian painter known as Gluck. They were rivals and although Romaine completed the stunning portrait of Gluck as per their arrangement for an exchange Gluck never completed hers. We only know of the unfinished painting through photographs. The exhibition opens in Washington, DC on June 17th where Romaine will finally be returned to the pantheon of American painting where she belongs. I shall be kicking off the panel from 4-7pm covering Romaine’s art and life along with my sister panelists. Please come, it is free and open to the public. My book serves as the catalogue and more for this exhibition. My book serves as the catalogue and more for this exhibition. I’ve just returned from listening to a long-lost analog recording of an interview with Romaine Brooks at age 94. What a fabulous experience! It’s in French, but is being transcribed in English through the generosity of another researcher, translator Suzanne Stroh. What an incredible thrill to finally hear Romaine’s voice! I now understand why she was celebrated for her speaking voice. She spoke French with what people said was a “charming American accent”, and it is perfectly clear that despite living in Europe — mainly France and Italy for most of her adult life — she always thought and titled her drawings in English in her notebooks. In the interview, she was asked if she’d created drawings other than those that appeared in the 1968 issue of Bizarre — an issue devoted entirely to her with essays by Paul Morand, Eduard MacAvoy, Michel Desbrueres. She responded, “I’ve drawn throughout my life.” So, folks, where are the other drawings??? We only have access to a sampling from two periods of her lifelong output. Where are the rest??? We really don’t know. Did she destroy them? What would they have looked like? Was her style consistent? Much like Frida Kahlo, Brooks is on the threshold of a total reassessment. Who knows what works may still be out there? Treasure hunters, unite. We need to ferret out her other works. 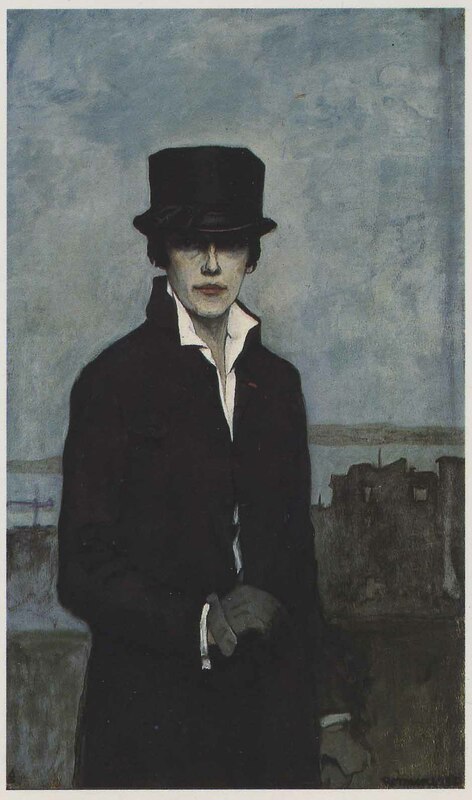 FYI: I will be on a panel at the International Biography Conference to present new information on Romaine Brooks that will turn Romaine Brooks studies on their head. What’s up with Romaine Brooks? 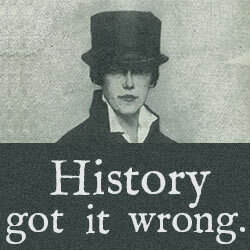 People keep asking me about my forthcoming Romaine Brooks book. I am doing some tweaks in light of startling new information about her personal relationships that came to light while I was working to determine the proper copyrights issues. My book contrasts Brooks’ work with the political, social, and interpersonal environment within which Brooks painted, whether during war, while living separately, in communal houses with her partners (who included Natalie Barney and Lily de Gramont), or during her prime years as a socialite in Paris. Romaine Brooks: A Life proceeds chronologically through Brooks’ works and the documented interactions with both her subjects and her peers to persuasively emphasize her struggles and change the current perception of Romaine Brooks. Here is the key to finally restoring Brooks to the history of American and International art that is her rightful place in the development of art. Although a conservative modernist in her chosen artistic style, content, and approach, she was decidedly modernist in that she documented a lesbian and bi-sexual subculture. She also applied a new musicality to her work, developing a unique approach to both monochromatic harmonies and tonal scale in her use of paint and its application to the canvas. Recognition of Brooks for the originality and quality of her work, as well as for her courage in demanding to be seen, is long overdue. My book establishes once and for all how important and innovative her contributions to art were. I firmly believe that, had she not been a conservative modernist, expatriate, and sapphist-lesbian, she would not have been neglected as she has been. Much work remains to be done clarifying the details of Romaine’s life and art. It is my hope that a new and younger generation of scholars will take up the mantle where I have left off. This painting is by an unknown artist. One of our followers asked if I knew who painted it. I don’t. I have to say (as I did to her), you have to see a Brooks painting face-to-face to really appreciate how subtle and sophisticated her surface application of paint was and how subtle the transitions between shades of grays are. She uses a tonal scale, so unless you can actually see the paintings in person, it is very difficult to translate from on-line or reproduction. The values are much richer. This page is dedicated to the lesbian expatriate artist Romaine Goddard Brooks (1874-1970). Brooks was the epitome of style and could give most fashion designers today cards and spades when it comes to understated elegance. She designed her own man-tailored clothinge and made everything in her life according to her singular tastes. I am going to be presenting a talk on Romaine’s relationship with adventurer, man of letters and womanizer, Gabriele d’Annunzio, on Saturday. This takes place in Las Vegas at the Women and Fascism panel of the Modern Studies Association. I was invited by author Barbara Wills whose recent book Unlikely Collaboration: Gertrude Stein, Bernard Fay, and the Vichy Dilemma has created a great stir among those devoted to feminist and queer studies, as well as among admirers of Stein’s modernism. 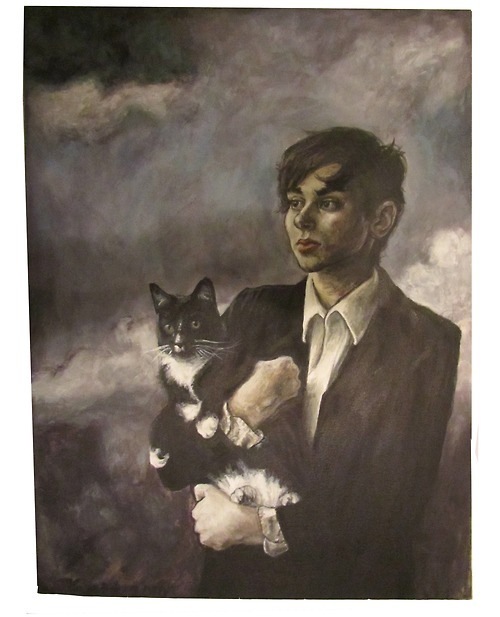 My own presentation deals with Romaine Brooks’ queer heroic portraits of women. I have written a couple of articles on these but this will be my first dedicated presentation detailing, however briefly, the connection between Romaine Brooks and Gabriele d’Annunzio and the impact that relationship had on her signature style.